MMA is now turning to be the hottest extreme sports nowadays. It dominate not only the Philippines but even in the worldwide scene as well. Aside from the actual MMA sports that we always cover, there is also a reality TV series inspired by this combat sports. And this is the "Kingdom" which now on its Season 3. It would be wrong to oversimplify pre-fight routines as mere showmanship. For the men and women of the octagon, these rituals also calm the nerves while psyching up the fighters for the brawl ahead. Still, it’s no doubt fun to watch our favorite mixed martial artists doing a fancy dance and cart wheeling on their way to the cage—where initial displays of fearlessness are soon tested in a long, icy stare down. Many celebrated MMA fighters have grown a following not only because of their matchless strength and technique, but also because of their pre-fight habits. Some are loud and wild, while others are terrifyingly quiet. Here’s a short list of pre-fight rituals by octagon favorites that deserve special mention. Clay “The Carpenter” Guida may be known for his offensive style inside the octagon, but all that aggression is preceded by a rather painful ritual inflicted on him by his brother Jason: several brutal slaps to the face that’s sure to get any opponent thinking twice. No one pumps up the crowd better than “The Nightmare” Diego Sanchez chanting “YES!” as he marches to the octagon. The iconic chant has even crossed over to World Wrestling Entertainment through Sanchez fan and retired professional wrestler, Daniel Bryan. Femme fatale Ronda “Rowdy” Rousey takes a more subtle approach to pre-fight rituals by engaging in complete, restful silence in the locker room. Wearing her worn-out “battle boots” is also a must to keep the blood flowing to her toes before a match. The best form of intimidation doesn’t have to be dramatic as proven by Junior “Cigano” dos Santos whenever he throws a sharp finger down while glaring at the competition—a simple yet definite warning of unpleasant things to come. Who knew a simple stretching exercise can look so terrifying? With fingers interlaced, “The Axe Murderer” Wanderlei Silva would roll his wrists with an intensity that matches his baleful glare. Behind every show of fierceness lies a strong determination to subdue one’s own weakness. 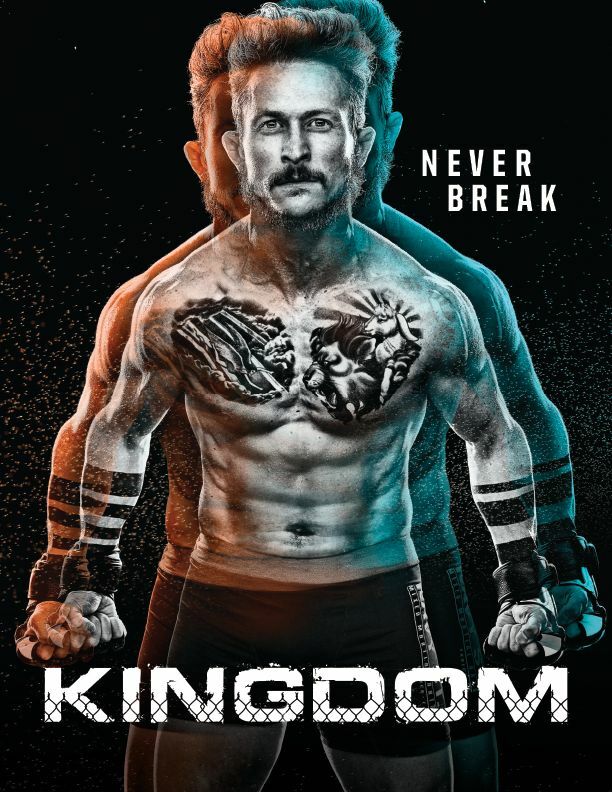 American series Kingdom explores the mind and lives that animate the arena by delving into a world where professional MMA fighters struggle against dysfunctional relationships and inner demons. In Season Two, ex-con Ryan Wheeler (Matt Lauria) continues to do double jumps before every match as he strives to rise above the mistakes of his past. Fellow Navy St. Gym Jay Kulina (Jonathan Tucker) takes the opposite gesture by rolling head-first into the cage as he bears the burden of his mother’s murky history. As the two men in the episode “No Sharp Objects” match up in a decisive fight that leaves Ryan seeing a ray of hope despite his father’s death, and Jay still reeling from the tragic end of his girlfriend Ava, Kingdom reminds viewers that a fighter’s strength doesn’t only depend on the body, but also on the spirit. Will Navy St. Gym’s two fighters finally find peace and overcome the ghosts of their past? 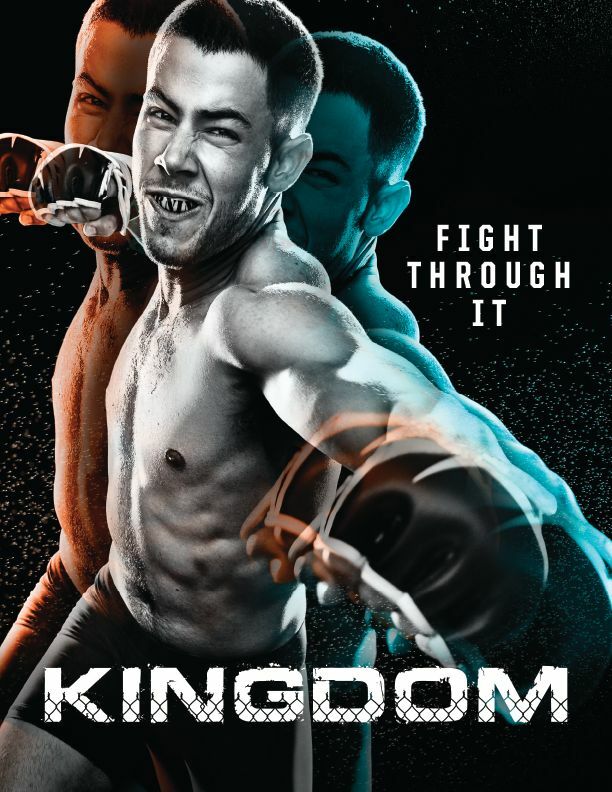 Catch the premiere of Kingdom Season Three this June 2, Friday at 10PM, express from the U.S., first and exclusive on RTL CBS Extreme.